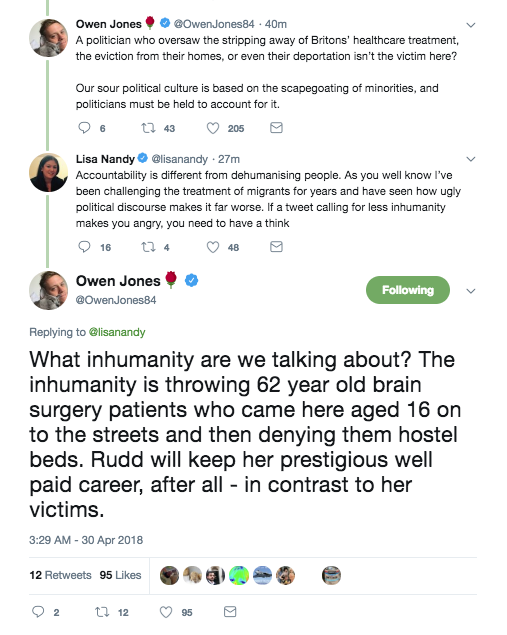 Nandy has accused people celebrating Rudd’s resignation of being ‘inhumane’. But it’s worth remembering what led to Rudd’s resignation. 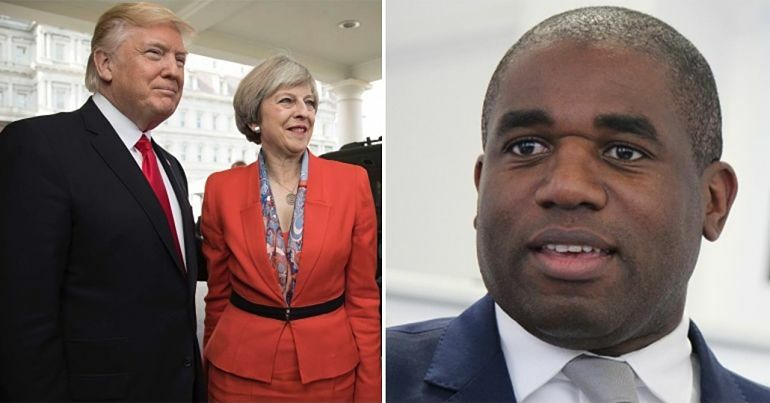 The Windrush scandal resulted from former home secretary Theresa May creating a “hostile environment” for illegal immigrants. 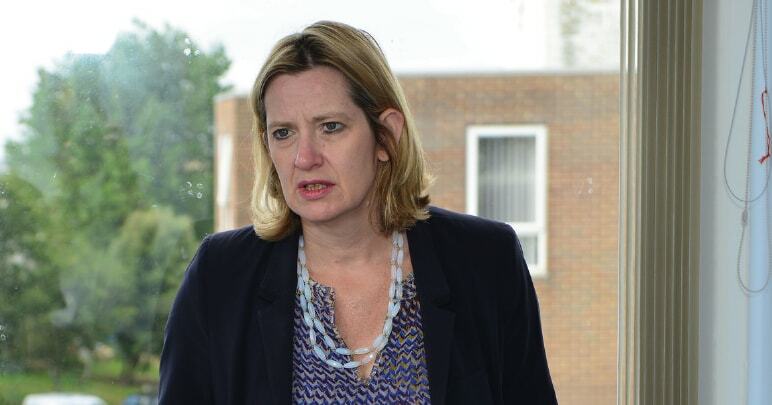 Dissenters warned that the bill she introduced could have a broader impact on all migrants. This was partially because it meant they would have to prove their status constantly – having to confirm their position every time they rented a property, opened a bank account, or used the NHS. But equally, it was because raising constant suspicion of migrants fuels racism. The Windrush generation was granted British citizenship. And yet the changes May introduced – and Rudd expanded on – meant people lost “jobs, homes, and loved ones”. One woman has even blamed the death of her son on the fact this ‘hostile environment’ meant he lost his job and was refused benefits. 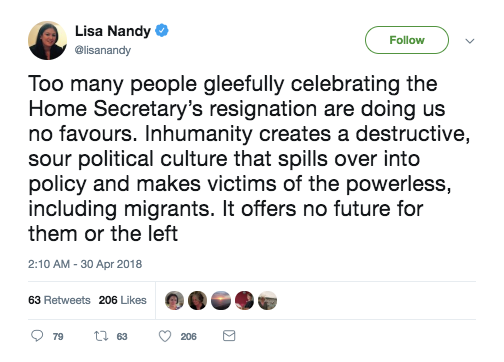 But Nandy has claimed that those who ‘celebrate’ Rudd’s resignation are ‘inhumane’. And not just that. She suggests that people celebrating the demise of a vindictive and deceptive politician could even be indirectly causing policies like the ‘hostile environment’ one. A suggestion which several people objected to. But why would politicians like Nandy seek to deflect blame from the Tories? It’s a common refrain among the political class that social media is ‘souring’ politics. This is a bit of a chicken and egg situation, and the question is this: was a lost decade of austerity, ‘racist‘ policies, and collapsing infrastructure caused by social media? Or are people online enraged because those things are happening? Nandy seems to be suggesting it’s the former – which might surprise some. Nandy herself has generally voted against stronger enforcement of immigration rules. 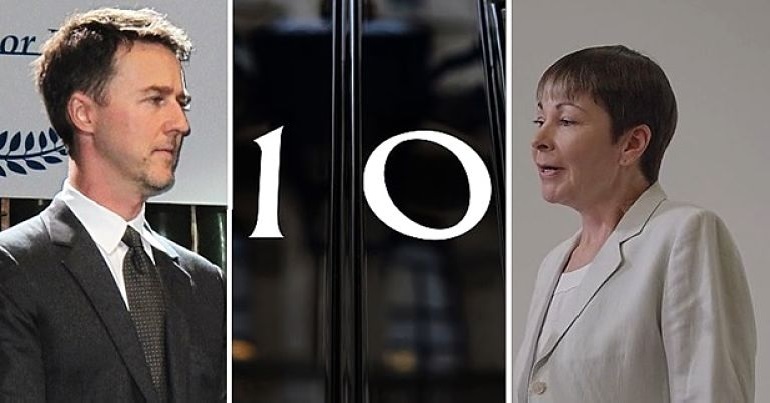 She’s also spoken in favour of human rights and against government cruelty, although she was absent from the final vote on the 2014 immigration bill that led to the Windrush scandal. This vote could have used more opposition, as Labour – apart from a few rebels – voted in favour of it. Her tweet reads like an argument that MPs should have diminished responsibility for their actions. And while it’s true that a minority of people on social media are hostile and indefensible, to suggest they’re provoking politicians to enact ‘racist’ policies is quite frankly bizarre. Nandy isn’t the only Labour MP to show sympathy for Rudd, though. 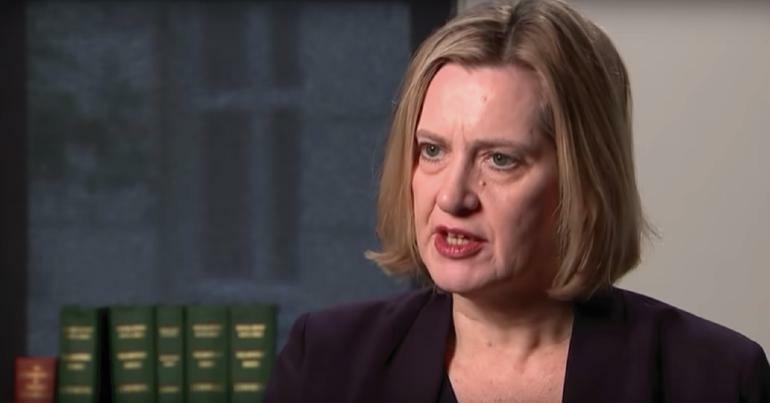 Amber Rudd has screwed up big time, no question. And there is now clearly a significant question mark over her competence. But Labour has more common ground with her than so many of her potential successors – we should be careful what we wish for. Many in the Labour Party seem to think in these odd ways. They think it’s important to protect a politician’s feelings over those of the people they’ve hurt. They think it’s better to have a lying home secretary we know than another we don’t. And they’re not afraid to voice these thoughts in public. Presumably because they don’t understand how weird they look.